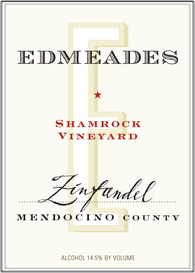 Edmeades is famous for its limited bottlings of iconoclastic Zinfandels from the coastal mountain vineyards of Mendocino County. Fans like us know that the single vineyard wines are amazing and amazingly hard to come by. Dr. Edmeades planted his first 11 acres of vineyards in 1963. 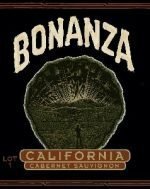 He founded his winery and launched his own brand in 1972. At 2,800 feet, Shamrock Vineyard is one of the highest elevation vineyard sites in Mendocino County, on the northern border of Humboldt County. Always the most savory of the Edmeades Zinfandels, aromas of bay leaf, cherry pit, crushed cranberries, and dried herbs comprise the wine’s bouquet. 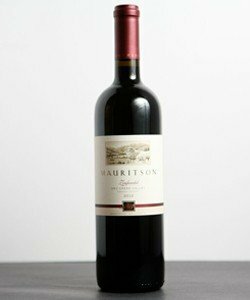 Flavors of fresh blackberries, cherries, and blood orange are framed by bright acidity and firm tannins. 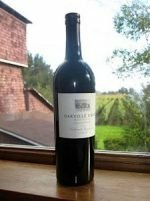 Categories: Unique Reds, Red - Zinfandel. The name of the Carol Shelton Reserve Karma Zinfandel 2015 was bestowed in gratitude for the many gifts of good Karma received in life, whatever the source. When positive energy is put forth in hard work mixed with integrity, the giver is rewarded with success, the fulfillment of a dream. Quite lively and fragrant with ripe blueberry, raspberry and blackberry fruits, tart pomegranate and red Jolly ranchers! Cedar box, brown spices- nutmeg/cinnamon, cherry cola, dark chocolate, a soft whiff of violets, creamy vanilla oak, kick of pepper spice. Very complexly layered weaving of fruit and spice, uber-dense and deep—wow! Rich in mouth, bright berry fruit tang like a wonderful berry cobbler, good structure for aging, a bit chewy in its youth.